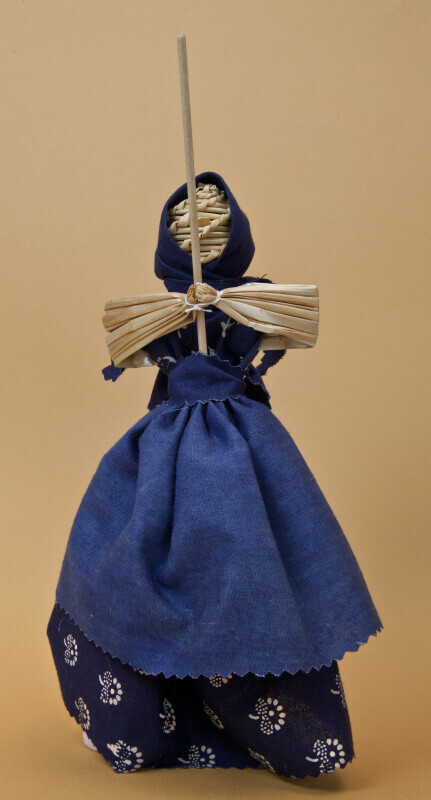 Handcrafted doll made completely with straw. This lady is wearing a blue cotton skirt, apron, and scarf. Her body is stalks of straw, and her face is woven straw. She is holding a broom made from straw stalks. The figure stands 8 inches (20 cm) tall.